Last weekend I found myself chatting to a data analyst who was, to use his own words, “obsessed with, I mean a complete nut about, immersive theatre”. When I asked what he liked about it so much he said it was the chance to make choices and carve his own journey through the experience. It made me wonder if this craving for agency – indicative within the resurgence of immersive theatre – was due to our current socio-political circumstances; as Adam Curtis makes the point in this short film, we live in a world where we no longer know what’s right or wrong and we feel increasingly unable to do anything concrete about it. Do the tangible choices offered within immersive theatre combat that feeling of helplessness? Nice, tidy idea. But having spoken to other people about this it’s no way near as simple as that. Firstly, I soon realised there’s a big difference between ‘immersive’ and ‘interactive’ theatre. As Hannah Nicklin so brilliantly puts here one transports its audience without really inviting engagement while the other invites actual agency. She goes on to say that immersive work often holds a power imbalance in order to maintain the illusion; you can explore but only within a very strict set of rules. I remember coming out of The Drowned Man to find a very ticked off person who’d been kicked out for doing just that – he’d opened a door he wasn’t suppose to and found the limits of the world Punchdrunk had created so he was removed from it. Even within such strict remits, speaking to others, it seems immersive work often disempowers us – we are anxious because we feel like we’re missing something. While this is anecdotal evidence, it would be interesting to see statistically if this were true. Also, as theatre maker Daniel Bye brilliantly said “It’s not empowerment just ‘cos you’re using your legs.” We might be there in body but are we in spirit? So how can we start to make real choices? 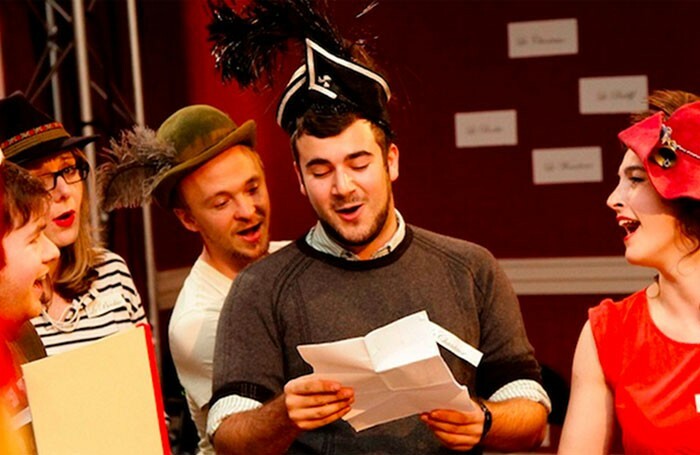 As Alice Bell argues comprehensively – and eloquently here it seems interactivity has to involve a genuine possibility for the audience to effect change on the content of the show itself. Many companies like Coney are playing with this sort of work, with shows like A Small Town Anywhere taking inspiration from game theory to engender audience agency. But even with all their attention to care and nurturing I’ve still felt lost and anxious in a Coney show; the other people around me picking up the game a lot faster than me, so I become scared of getting left behind and just quietly remove myself from it. How could this be combated? I think the key could be to building up long-term relationships with companies like Coney, attending all their shows and becoming a fully fledge inhabitant of their work. You’d then get to understand their shorthand and feel more at home being asked to contribute because we would be less worried about failing and looking silly; you don’t mind dancing like a lunatic in your own house, but you might feel inhibited doing so in a club you’ve visited once. Maybe to attain true interactivity and audience agency we need to talk about empowering symbiotic relationships over many shows, not just within one. The (fine) line between fine art and moneymaking. On Saturday I watched Michael Green’s Don’t Hate The Rich – Be One Of Them! at Camden People’s Theatre. It’s a delicate but brutal satire on Conservative party chairman Grant Shapps and his internet moneymaking alias Michael Green by fine artist Simon Farid. But during the Q&A after it became clear that for one audience member it was supposed to be an actual seminar on how to make millions. He said quite indignantly that he’d paid £12 and heard nothing practical on how to make money using the Internet. 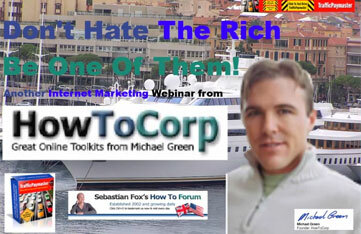 This was supposed to be a seminar about HowToCorp.com wasn’t it? It transpired the content about the show had been harvested by an external site, which had advertised it as the genuine – if any of this can be called that – article. Speaking to Farid he confirmed this has happened once or twice before and that he always speaks to the people afterwards to try to explain what the work is doing. Still it raises interesting questions both ethically about the show but also about us. It’s one thing to laugh at or feel superior of the idea of such moneymaking schemes when the hopefuls you assume fall for them aren’t sat right next to you. It becomes downright uncomfortable when you realise they’re real people. Verity Standen’s acapella shows were a stand out hit at the Edinburgh Fringe last year reducing people, not least yours truly, to tears. Both are completely unique and moving experiences. Must see (and hear). Maxine Peake is dazzling in this strange and utterly bruising metaphysical masterpiece by Zinnie Harris. Vital viewing (but drink a large glass of wine first). J Fergus Evans’ Rove uses poetry and live folk music – and has been dramaturged by the incomparable Chris Goode – to create a dialogue with it’s audience and explore family ancestry. A moving example of Forum Theatre by Cardboard Citizens, that shines a light on the injustices of our much-maligned well fare state system and then invites the audience to do something about it. Daniel Bye’s new interactive show has received stonking write ups and invites children to look at the world from an entirely different point of view through the story of a boy and his robot best friend.